Tone-up, burn calories and strengthen muscles in a low-impact way with the Sunny Health & Fitness SF-RW5606 Premium Rowing Machine. 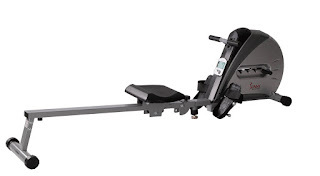 The entry-level low-priced Sunny Health & Fitness SF-RW5606 Rowing Machine is solidly constructed with top-grade steel and features an elastic cord resistance system with 4 levels of adjustable tension to keep you challenged. 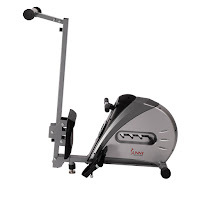 The Sunny Health & Fitness SF-RW5606 Rowing Machine is built for comfort and safety with an over-sized angled seat, non-slip handles, and large anti-slip foot pedals with adjustable foot straps. 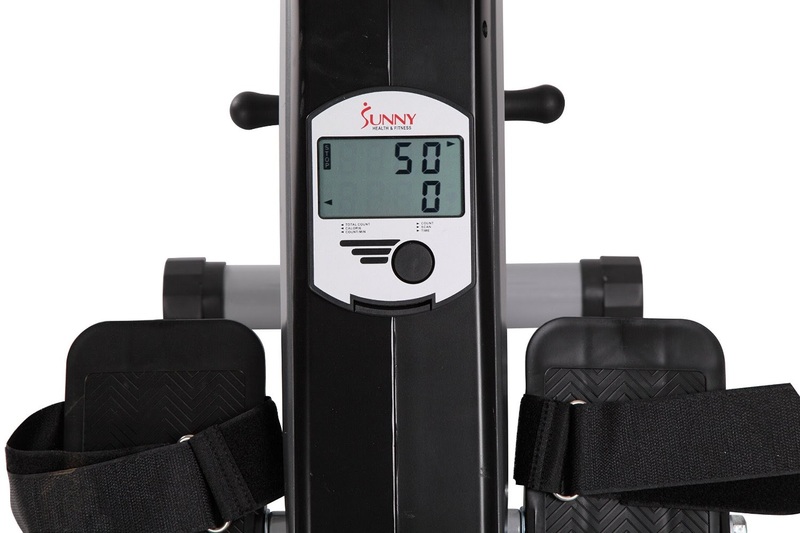 You can keep track of your workout progress with the Sunny Health & Fitness SF-RW5606’s easy-to-read LCD monitor which displays motivating workout stats including time, row count, total count, count per minute, scan, and calories burned. The Sunny SF-RW5606 Rowing Machine operates smoothly and quietly, offering a maximum user weight capacity of up to 220 lbs. The Sunny SF-RW5606 features a folding frame designed to save space when not in use. Useful tip: Rowing for just 30 minutes could burn between 262-449 calories for women or 310-531 calories for men, depending on the intensity of the rowing.